Ok chaps, I got my Yellow 7A28 - 710A from Japan last week, tried a new battery in it, it flickered a bit but was not running, sort of expected it really. However, I thought it would be a good idea to tear it down and clean it, having never done this before (cue sniggering) and always wanted to. I stripped it down no problem and thought easy peasey. I am now at the stage in assembly of trying to mount the train wheel bridge, this is causing problems trying to line up the small second, step rotor A, the fourth & fifth wheel pinion. Are there any tips on how to achieve this? 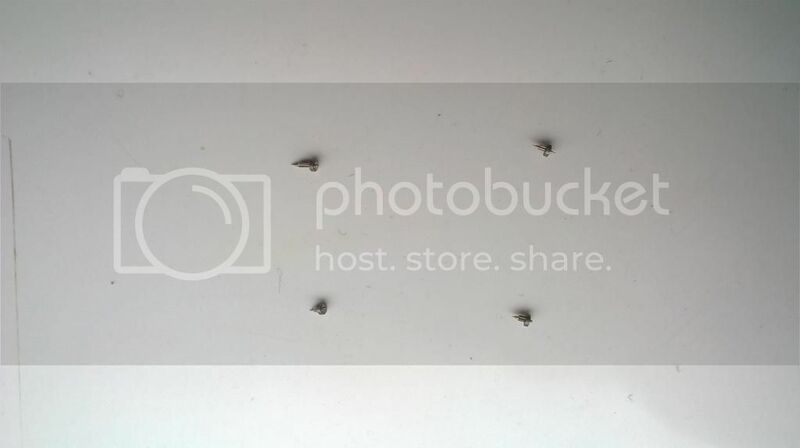 These are the little round b***ers above. Trying to mount that plate and get tips of the wheels to locate the holes in the plate without knocking them out of line I am finding is damn near impossible. As you can probably guess I am an absolute newbie when it comes to tinkering but I am enthusiastic. Gotta give you 10/10 for enthusiasm, Phil. As you've probably figured out by now, dismantling the main train wheel bridge of a 7Axx is not for the faint-hearted. Nor is it recommended for a 'newbie' and their first 7Axx. See George's embedded YouTube link towards the bottom of the page. 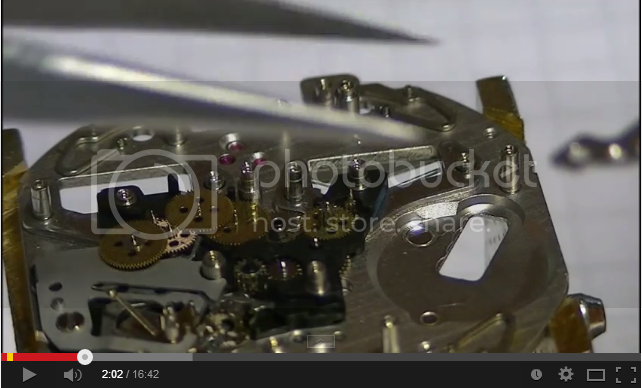 I was given a bit of advice from a trained horologist a few weeks ago. I'm off work next week so I'll be trying out whether the tip works. Thanks for the thread chaps very usefull. I managed to get 3no located just the step rotor wont have it yet. 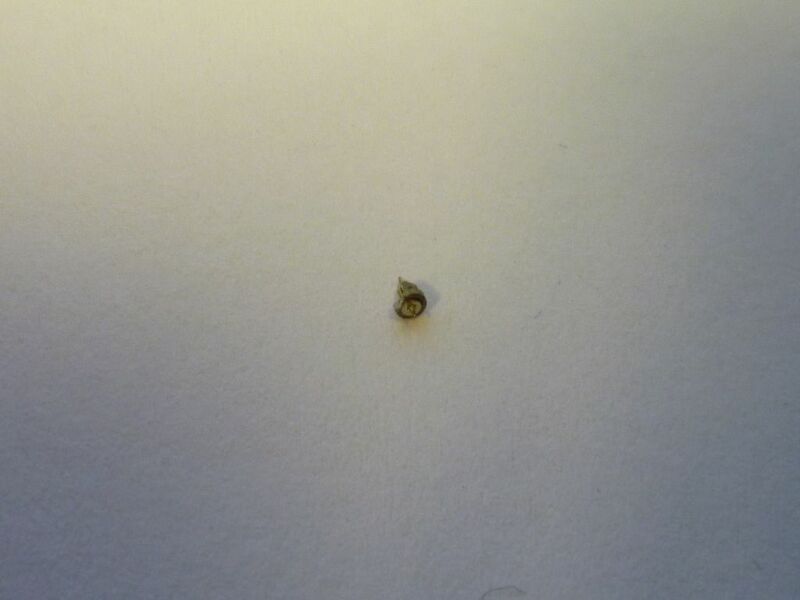 Up to now I have found that putting the screws in loosley, turning it upside down and gently tapping with your tweezers shakes them into position. Just that step rotor chap not playing ball. Anyhow I'm going to have a brew and a think watch this space. Having looked up the parts at Cousins they are £10.68 each !!! and I need 3no but I may as well get the set of 4 unless any of you chaps have a spare set I could purchase from you . Any thoughts on my findings and reasoning are welcome. The sad news is that my project is now on hold until I can purchase these items. That photo comes from this thread. Note my comment in the next post after that photo. That's why it pays to have a 7Axx donor. Thanks Paul good picture. I am undeterred by this little set back as I believe I've got myself quite a rare beast amongst these watches. In your photo I can see already that underside locating pin is much longer than mine so I shall relish the challenge of finding a beater to strip down. It's all good for the knowledge and skill set. Careful that you're 'comparing eggs with eggs', Phil. 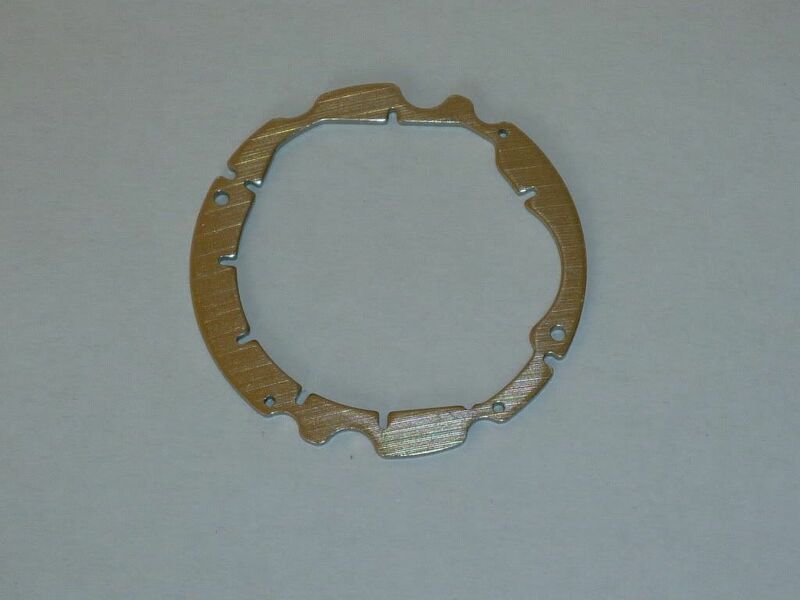 There are two different rotor part numbers used: 4146.725 and 4146.727. That's a 'C' (30 minute counting) rotor out of a 7A48 in my photo. PS - You have a PM. Managed to get a photo, what do you think chaps as you can see only the top right in the picture looks to have a long enough stem to me. Do you think the other three need replacing? Now as Paul has alluded to, I thought I may have bu**ered these up on reassembly, as I have only attempted the train wheel bridge two of these rotors are as they are from tear down separated from the train wheel bridge gears, I'm working through George's video in reverse. I actually did think on whilst taking it apart "is there 3no different rotors here" . Another thought is that I hadn't seated them correctly and I may have damaged them whilst pressing (more like holding it in place) the bridge down but in reality these are very easy to fit as they jump into the hole. Anyhow it looks like a full set is needed - damn. Please let me have your thoughts on this chaps, this is a great learning journey for me if somewhat expensive. My beater 7a38 arrived from Aus yesterday, had a bit of a tinker with it and got it running fine for around 10mins and then the battery has expired (I hope). Stripped it down to the bridges and cleaned it up everything looked good so I reassembled. 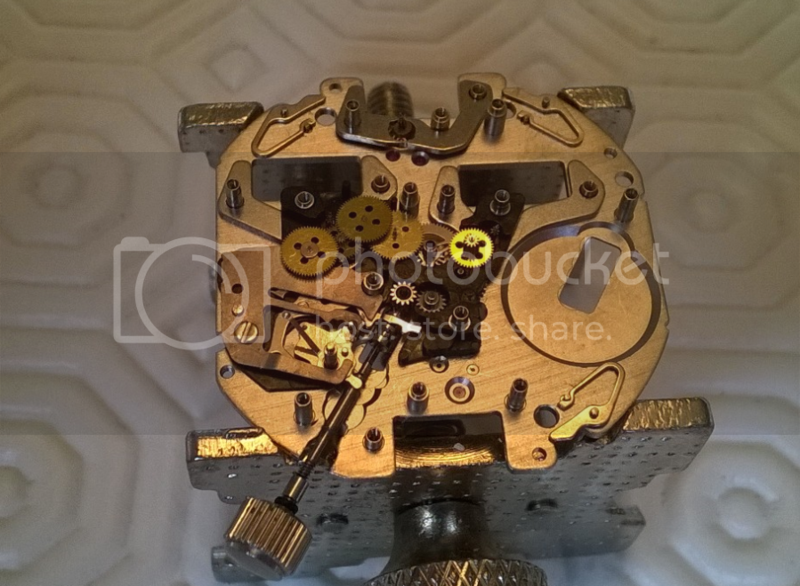 In theory, as they share a good number of common parts, it should be possible to convert a 7A38 movement into a 7A28 movement. Although I've never attempted it myself, In practice, I'd suspect it's far from being as simple and straightforward as you might think. (Something like a 7A34 into a 7A38 or 7A74 (Jean Lassale Thalassa) might be eminently do-able, by swapping over complications). .... apart from the date corrector wheel, for which you'll need to remove the '710' green plastic spacer and withdraw the crown stem. However, there's rather more to it than that, as far as their differences in components go. Some time back - and I can't remember in what context it was now, I'd noticed that part numbers of the centre seconds wheel used in the 7A28 and 7A38 were different (888.725 versus 888.731). 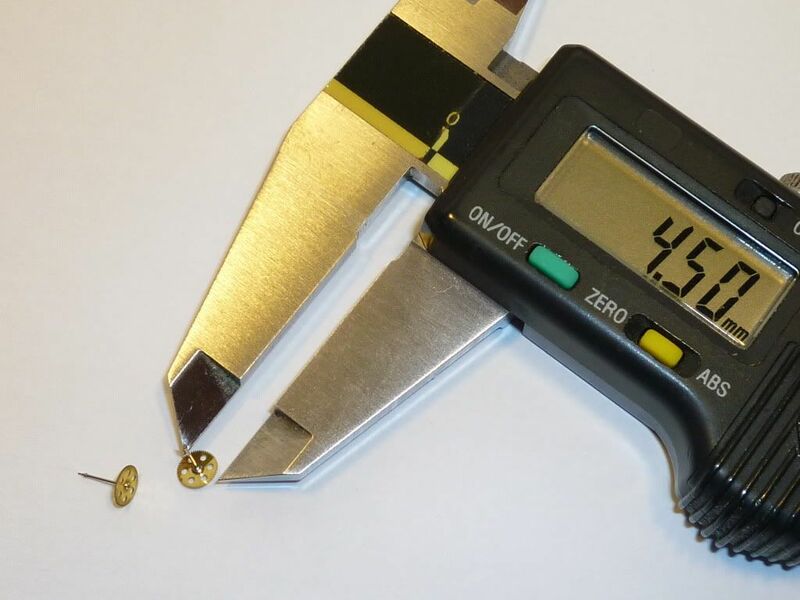 Both have 60 teeth, six holes and look very similar, but the shaft of the 7A28 part is shorter (by about 1.0mm). 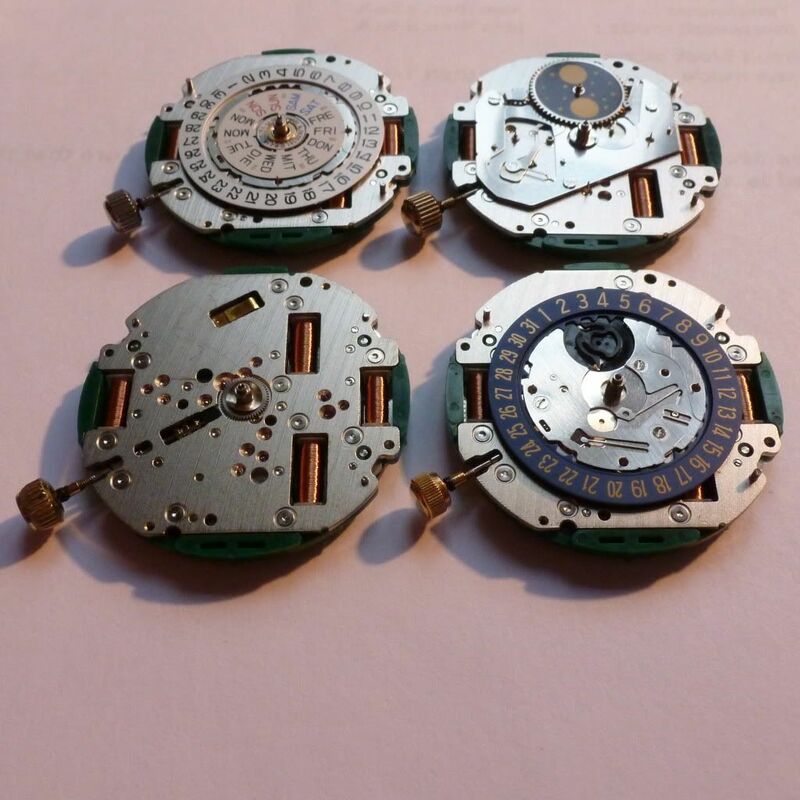 Because the 7A28 movement doesn't use the dial spacer (due to lack of any complication), the whole main hand stack is 1.0mm lower. Simon wrote a series of excellent posts, further down this thread in the 7Axx General Discussion area. May I respectfully suggest that you stick with your original plan to use this movement as a donor. The rotors will be the same. Many thanks Paul, I have stuck to plan A, and having a tea break at the moment. I have pulled the rotors out and still wrestling with the bridge, I am determined to do it. I shall report back soon (I hope). After 6hrs trying to do this, I have just realised (and perhaps not my last) a schoolboy error here, if you look at my first picture you will notice the intermediate minute wheel is upside down, "yes it's taken me this long to realise". I do however have an excuse. Another update, I've done it. I was hoping to show a video of the wheels moving but not having much luck, it took me probably around 24hrs of tinkering on and off. I was struggling with lining up the 3rd & 4th wheel into there holes I thought what would make them easier to locate so I took the bridge off again and popped a tiny amount of quartz oil on the underside of the bridge at the holes and had another go and it seemed to work. It was a eureeka moment when the bridge sat down and I tightened the screws up gently with my pin, before I took my finger off I gently spun the small second to see the others turn aswell. Another thing I found was that if you pull the crown out and turn it a little, it also helps to wiggle the 3rd wheel into position. Would I attempt it again, yes I would, need I have stripped it down to the bare bones probably not but it has given me an even greater respect for the men who develope movements the presicion engineering/math involved is incredible. 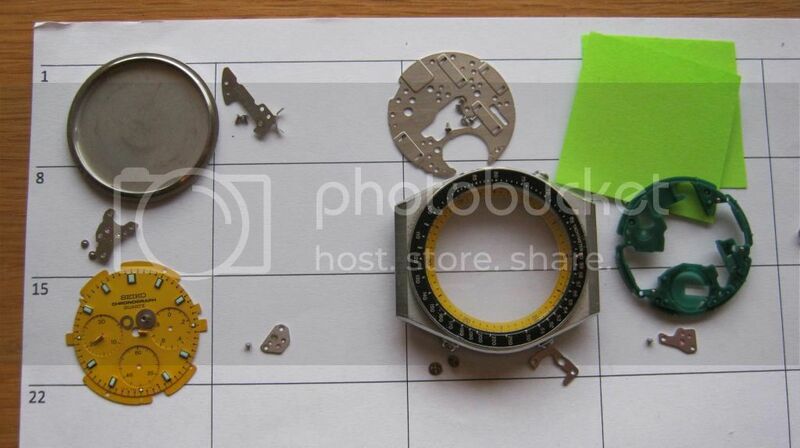 So I can now finish my rebuild can't I, well no actually as being a newbie I left the minute counting wheel in my cleaning solution (got sick of swopping glasses and couldn't see it) only to find it in two pieces at the bottom of my jar when I was searching for this missing piece, almost certainly bashed by bigger heavier parts probably from an ETA 2824-2 that I am also servicing. 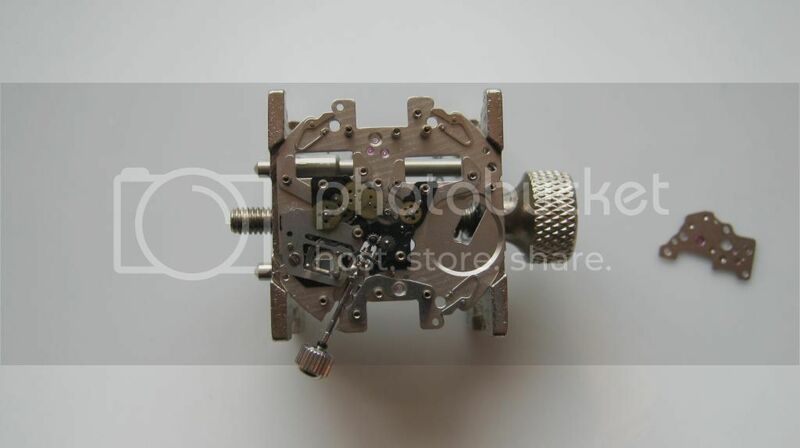 So I now have to find a 7a28 beater (that I should have got in the first place ) to get the replacement wheel, but why would I now bother to do that as I could just use the movement anyway. Still you gotta laugh ain't you ?